It's a MOTHER's Day of a CONTEST !!! 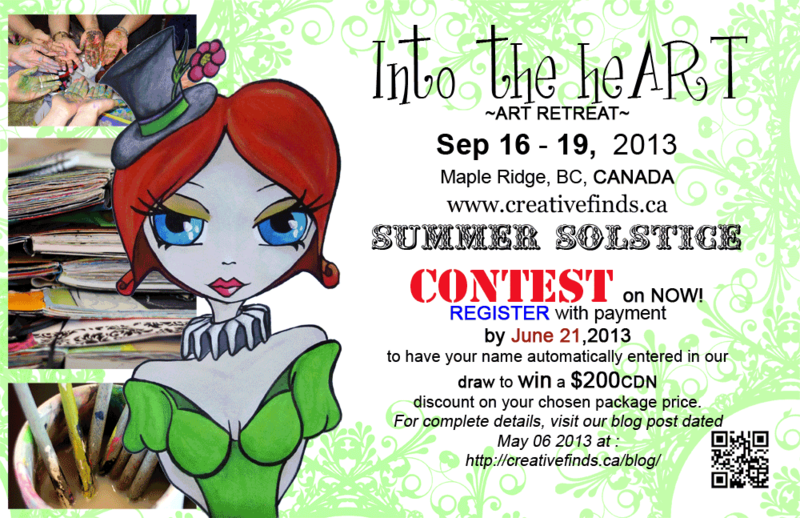 Welcome to our 2nd surprise contests for our upcoming Fall 2013 ‘Into the heART’ Loon Lake Lodge ART RETREAT!!! To be automatically entered into our draw all you have to do is register for the above mentioned retreat with guaranteed payment by June 21, 2013. How simple is that? These registrations must be received by Creative Finds no later than midnight of June 21, 2013. Of all the confirmed registered students for our Fall 2013 ‘Into the heART’ Loon Lake Art Retreat, the only people who are not eligible for this contest are the Workshop Instructors, previous winners from our first contest and other staff members. This prize is non-transferable and has no cash value. Check out our wonderful WORKSHOPS and their fun INSTRUCTORS by clicking here! The winner will be selected by a random number generator on Saturday June 29th, 2013. Which Artist inspires you the most & why? : There are so many! 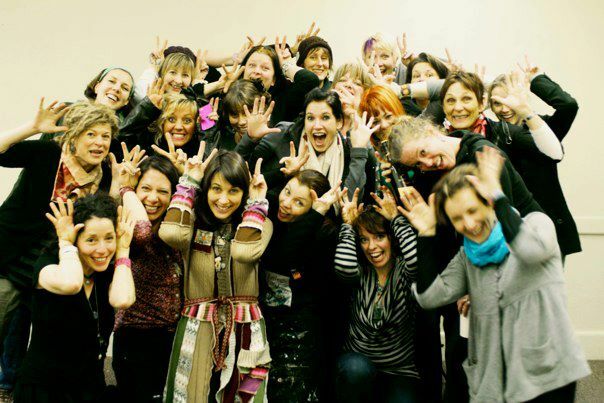 …but I had the pleasure of taking one of Flora Bowley’s classes – she is someone who is truly fulfilling her life’s work – and it shows in her down-to-earth, confident & creative teaching style. What would you love to try next, creatively? : Oh there is so much to do, so little time! Where do you find your muse/inspiration? : My Go To’s for inspiration are Somerset Studio magazines, Creative Living with Jamie podcasts, & my friends on Instagram – they keep me going! I like to photograph because: It feeds my soul. What was your scariest creative adventure? : Going on my first art retreat – a Be Present Retreat – I didn’t know anyone when I arrived…but that didn’t last long! 5 years later, I’m still in touch with many of the creative souls I met there. The thing I love most about my life is: The variety. What makes your heart swell with joy? : Seeing people who are good at what they do, who are truly passionate about the work that they do, who are living their dream. TODAY is the ONE WEEK BIRTHDAY for our FAB facebook ART RETREAT page !!!! We have reached 121 likes so far (9am PST) within 6 days. Can we make it to 150 or more LIKES by MIDNIGHT tonight? SHARE us, LIKE us, TWEET us, PIN us!!! FYI: Our FALL 2013 Retreat is filling up and waiting for you to join in on the fun by registering today + our SPRING 2014 Retreat is coming together nicely and will be announced later this Summer!!! CLICK HERE and LIKE US today!